soccerloco has the referee gear you need to be fully prepared to officiate soccer matches of all types. We’ve got the best soccer referee gear from names like Kwik, Goal, Diadora and more so you’ll get top-of-the-line equipment. Look through our huge selection of soccer referee equipment for the cones, shoes, cards and whatever else you need to be ready for anything the game throws at you. We’re the best place on the web to go for soccer ref equipment and everything else you need to make your soccer experience the best it can be. Shop now to get great deals on the soccer referee clothing and gear you’re looking for at soccerloco. Soccer referee equipment isn’t always easy to find; especially quality soccer ref equipment. At soccerloco, you’ll have no problem finding the best soccer referee clothing and gear in the game. From books to whistles, we’ve got everything you need to keep the game fair and safe for everyone. At soccerloco, you’ll find referee wallets complete with cards for both indoor and outdoor games, score pads, jerseys with spots to affix ref badges with no tape, whistles with and without lanyards and more. No matter what kind of referee gear you need, you can find it here and at the best prices around. When you need high quality referee gear at low prices, soccerloco is the place for you. 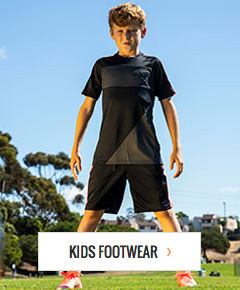 We are the leading online retailer of soccer referee equipment, clothing, and everything else you need for soccer because we offer the best prices on the web and work hard to give you an easy online shopping experience. Take advantage of low flat-rate shipping on orders of soccer referee gear anywhere in the continental United States. If the soccer ref equipment you ordered turns out to be not exactly what you’re looking for, send it back to us; soccerloco makes returns simple. Shop with us today to score big savings on the clothes and gear you need.